Since it’s this site’s self-appointed duty to catch as many affordable Alfettas as possible, and because enthusiasts in the snowier, colder parts of the country need all the help they can get to get their oddball car fix, featuring an Alfetta in Alberta is kind of a slam dunk. And that raises several questions – how long has this car lived there? And in spite of the lack of salt on roads – if that was still true back in the 1970s – how has this thing survived so long in anything but a dry western climate? 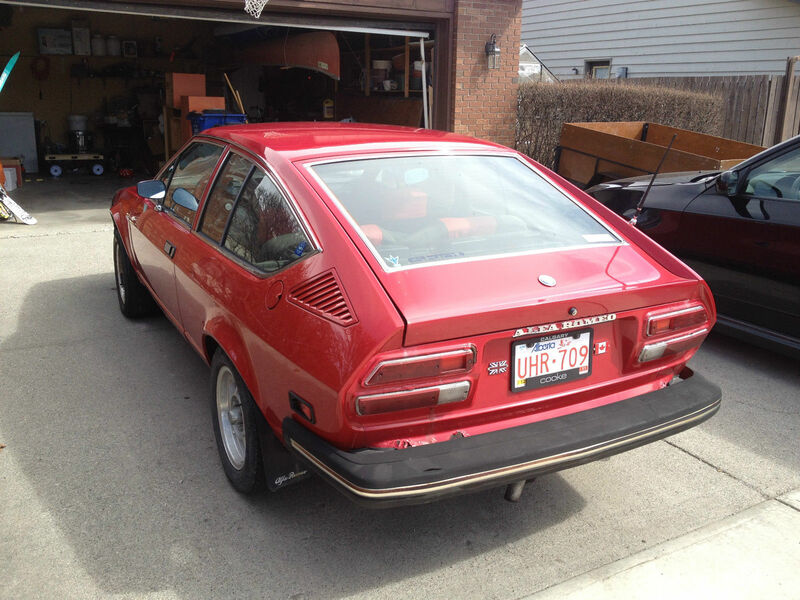 Check out this 1975 Alfa Romeo Alfetta GT for sale in Cochrane, AB with bidding currently at C$202.50 ($154 today), reserve not met and 5 days left to go. 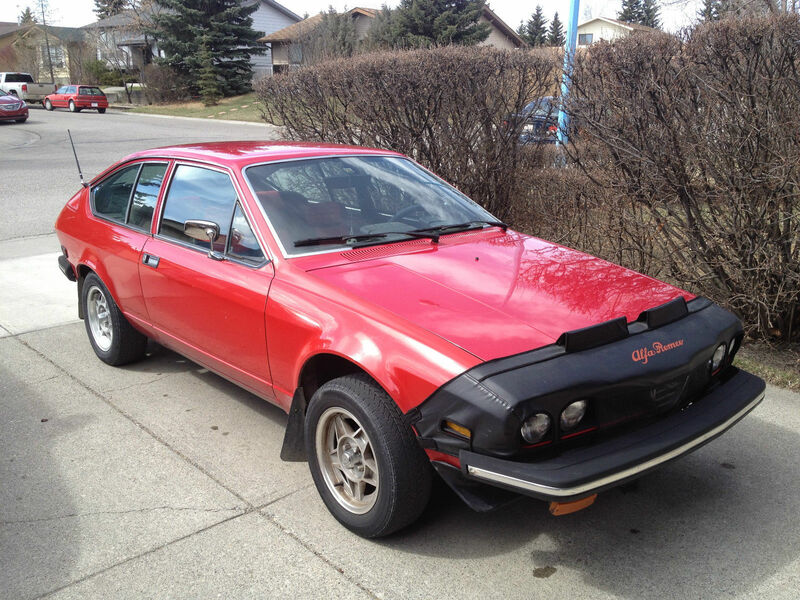 Evidently, there isn’t a huge Albertan void waiting to be filled by this car, which was listed once before with no reserve, and probably relisted because a panicked seller realized they forgot to set a reserve. However, if you’re based elsewhere and looking at this car with passing interest, notice it’s a 1975 car, which means you may be able to skirt the emissions laws in your state or province, depending on the cut-off date. This particular car gives a decent first impression, with some key structural areas in decent shape, and some raising questions. There is rust in the hatch (though used ones are still readily available), around the tail lights, and above the rear bumper mounts. The only scary rust is just aft of the driver-side front wheel, so you’ll want to investigate that carefully. Being an early car, this has a fuel filler door and inset side markers. It also has some pretty awesome factory mud flaps, just the thing for flying up the snowy mountain roads on your way to a Banff ski getaway. Undated photos show the correct trapezoidal mirrors, while ones dated in 2006 show later Tornados – hopefully the undated pictures are the most recent. Alfetta GT badging has gone missing, as has the cool trunk lid graphic, so you can assume it’s been repainted at some point in its life. The engine compartment has a bit of an oil film, and the hood insulation has seen better days, but overall, things look pretty decent. The windshield washer bottle is missing, which is crucial if you’ll be driving in poor weather, but an important thing to note is the fully intact, apparently rust-free inner fenders. K&N filters will make a nice sucking sound on acceleration, even with the original SPICA, and even if they contribute to a small loss in power. Interestingly, this early car has the battery mounted underhood, but still has the rear battery compartment in the trunk floor. Those cool molded door panels are your cue to an early Alfetta interior. The dash has surprisingly few cracks, and the original console is complete, though there is a newer radio. 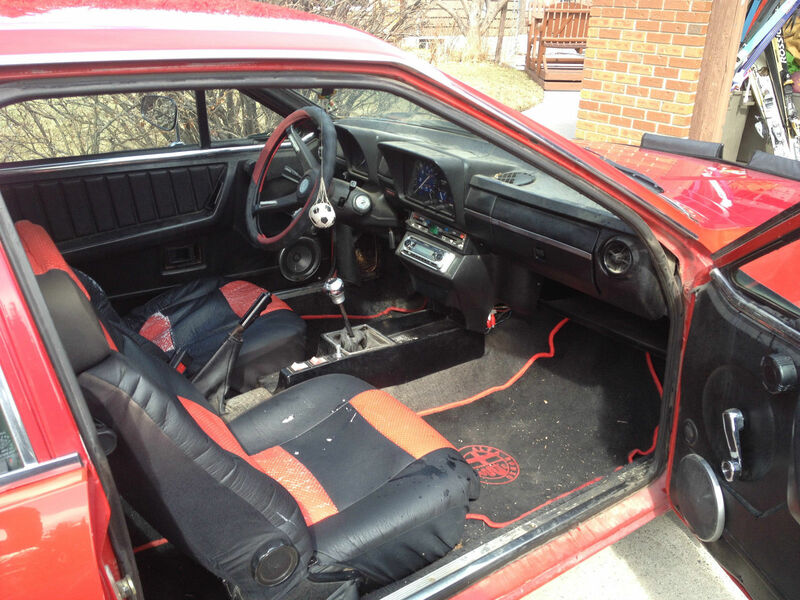 Seat covers and the modern shifter need to go, as does the foam steering wheel cover, but those are easy things to do. A fully reupholstered cloth interior on the RustyButTrusty Alfetta interior was about $500, if you’re willing to compromise a little on attention to details like piping, but it’s nicer than torn vinyl. 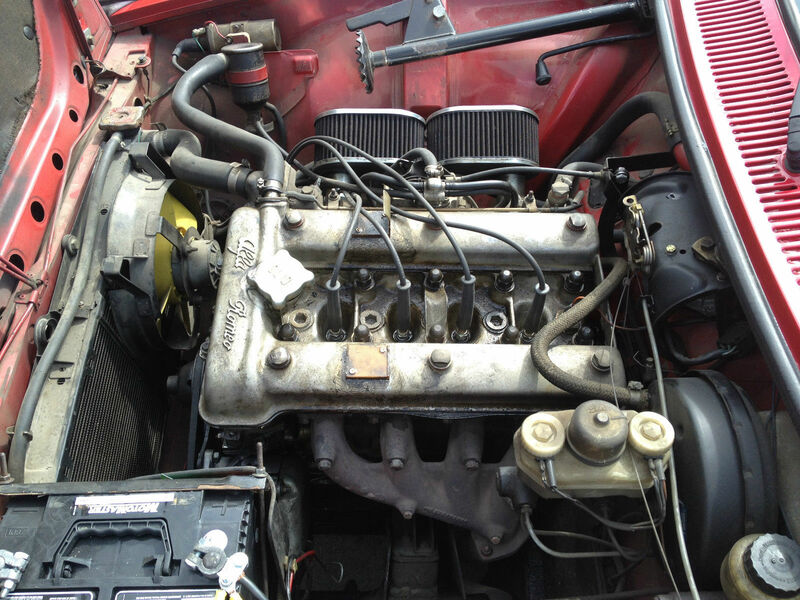 So between the remote (for an Alfetta) location and the 1975 model year benefit, someone should want to give this thing a home – could it be you? This entry was posted on October 29, 2015 at 11:55 am and is filed under Feature. You can follow any responses to this entry through the RSS 2.0 feed. You can leave a response, or trackback from your own site. Hey, thanks for featuring a car in my province! I wouldn’t mind seeing a few more! Sure, and if you see anything cool, feel free to submit it, I’m always looking for affordable classics to feature!